Eleven years and 24 million sq ft of luxury residential construction has made Marvel Realtors one of Pune’s most widely recognized names in real estate. Marvel’s exclusive apartments of over 4000 sq ft will soon be visible in Mumbai, Bangalore and Goa. In recent times, Marvel Realtors has also forayed into commercial projects that will offer over 1 million sq ft of world-class commercial space for 21st century businesses. 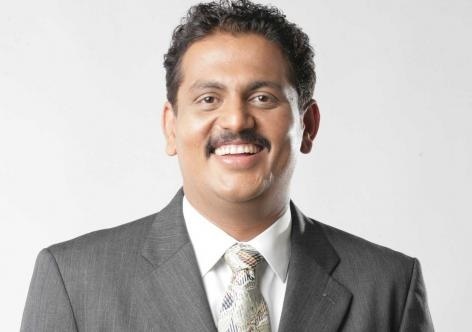 Vishwajeet Jhavar, CEO, Marvel Realtors, holds a degree in Engineering from College of Engineering, Pune, with a specialization in instrumentation and controls. He has over 16 years of experience in the areas of automation, engineering and construction. He manages key portfolios like land sourcing, automation and business development. Before venturing into his current business, Mr. Jhavar has worked as a design and development engineer with Badwe Engineering, a firm involved in designing microprocessor based controllers for the Indian Defence. He has been trading engineering goods to sugar and other industries for the last 10 years. Having set up Marvel Realtors in 2001, Mr Jhavar has been instrumental in focussing on accountability towards his customers in an industry where timelines are rarely adhered to. In this exclusive Q&A with BERG Team, Mr Jhavar gives a glimpse on his thoughts on the Indian Real Estate sector. BERG: How would you sum up the state of the real estate industry in India? VJ: In 2014, volumes & rates were fairly flat but it looks to be a phase of consolidation and branded organisations are grabbing more percentage of market. At Marvel Realtors we have seen 38% growth in sales & revenue. But we have still kept the per sq. ft. rate constant. BERG: From electronics engineering and trading to being one of the fastest growing real estate companies. What made you make the switch and where do you see yourself going from here? VJ: I see the good opportunity for another 8-10 years in the real estate till processes get matured. BERG: Most real estate projects miss their schedule and this is one of the biggest complaints among customers. At Marvel you have launched some kind of guarantee in this regard. What is your philosophy behind such a move? a. Launching smaller size phases in the projects. b. Starting projects only after 100% procurement of statutory sanctions for that particular phase and investing in processes & construction technology which will make delivery faster. BERG: What kind of benchmarks are you looking to set over the next 2-3 years? VJ: We will be trying to achieve 50% growth every year from next 2 / 3 years. BERG: What according to you will help India achieve the goal of providing universal housing ? VJ: Making the sanction processes faster and giving real estate an “industry status”, which will help get cheaper finance & also help India achieve the goal of Universal Housing. BERG: Smart Cities seem to be buzzword today. Are you working on any of these? What is your realistic assessment about developing Smart Cities in India? VJ: We are still studying to understand the concept and are currently not working on any of these presently. BERG: Indian developers are not among the early adopters of sustainable practices. What is your view on this? Has Marvel Realtors taken any significant initiatives in this direction? VJ: We have already invested huge money, time & efforts in sustainable projects & Marvel already has 27 platinum pre-certified Green projects which is the highest in India. These Green certifications have already started paying dividends in commercial segments & we are sure over a period of time residential development will also get premium.